A little before 3 a.m. on Thursday June 8, 2017, a Sheriff’s deputy conducted a vehicle stop on a white Lincoln for a vehicle code violation in the area of Stockton Boulevard and Fruitridge Road in South Sacramento. The vehicle stopped on Stockton Boulevard just south of Fruitridge Road. The male suspect exited the passenger side of the vehicle with a handgun, and immediately fired several shots at the deputy that struck the deputy’s patrol car. The deputy returned fire at the suspect who returned to the the vehicle and fled southbound on Stockton Boulevard for 200-300 yards and stopped again. The male suspect exited the car and fled on foot into the neighborhood near Stockton Boulevard and Jansen Drive. The driver of the vehicle sped away as deputies pursued. The pursuit continued onto northbound Highway 99 at speeds over 100 miles per hour. The pursuit continued onto northbound Interstate 5. The California Highway Patrol and Yolo County Sheriff assisted as the pursuit neared Yolo County. A spike strip was deployed and disabled the suspect vehicle near Zamora. The driver of the vehicle fled on foot into the nearby fields and orchards. Perimeters and searches were set up at both scenes with assistance from the Sacramento Police Department, California Highway Patrol, Yolo County Sheriff’s Department, and West Sacramento Police Department. An exhaustive search of the area around the shooting scene was conducted by helicopter, ground units, and K9 with negative results. The search in the Zamora area is still ongoing at this time. The shooter was described as a Hispanic male adult wearing a gray checkered shirt, light colored pants, a hat, and armed with a handgun. 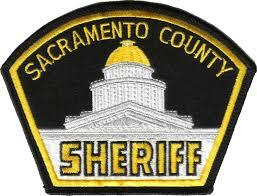 No Comment to " Sacramento County Deputy Sheriff Involved in Shooting, Suspects Eludes Capture "